This entry was posted on Monday, January 7, 2019 at 7:58 PM	and is filed under - Did they REALLY say that?, - Read 'em and weep: The Daily News, End Of The Road. 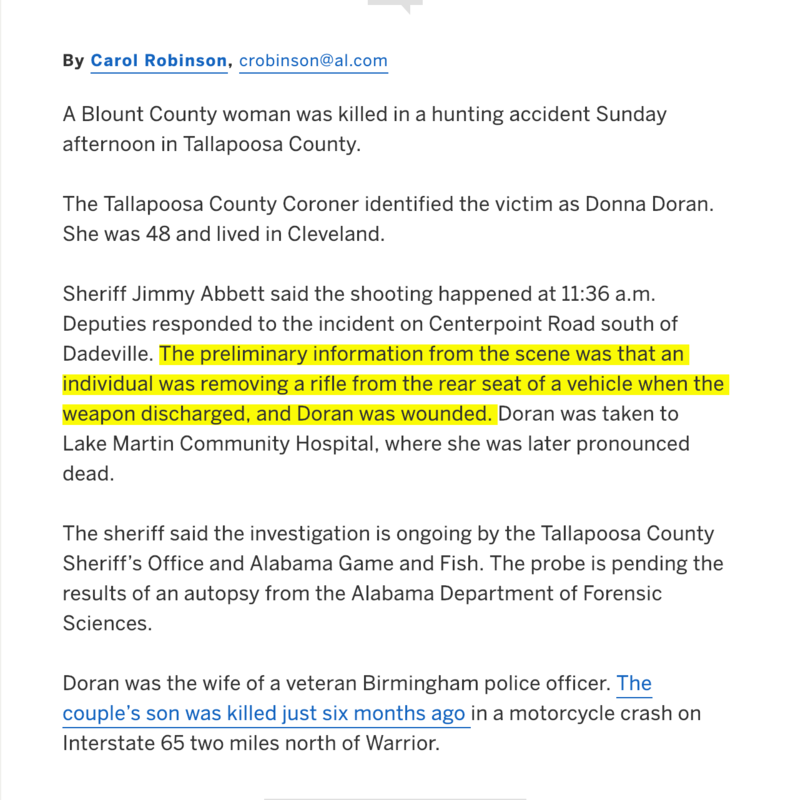 Tagged: accident, Alabama, death, Gun, Hunting, shooting, stupidity, weapon. You can follow any responses to this entry through the RSS 2.0 feed. You can leave a response, or trackback from your own site.